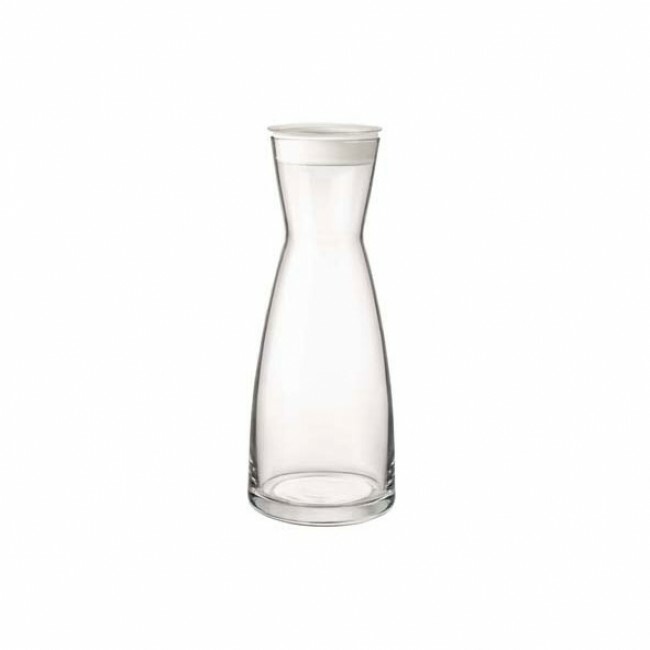 The glass carafe 32 oz / 1L with its white plastic lid comes from the Ypsilon Brio Bormioli Rocco range. Practical and durable, this container is perfect as a water carafe or other cold drinks. The white plastic lid of the Ypsilon Brio glass carafe ensures that the drinks are well preserved. For an outdoor service, the Ypsilon Brio Brio Bormioli Rocco carafe is excellent, because your drinks will now be protected thanks to its white plastic lid.